Jersey City – Boom Town! 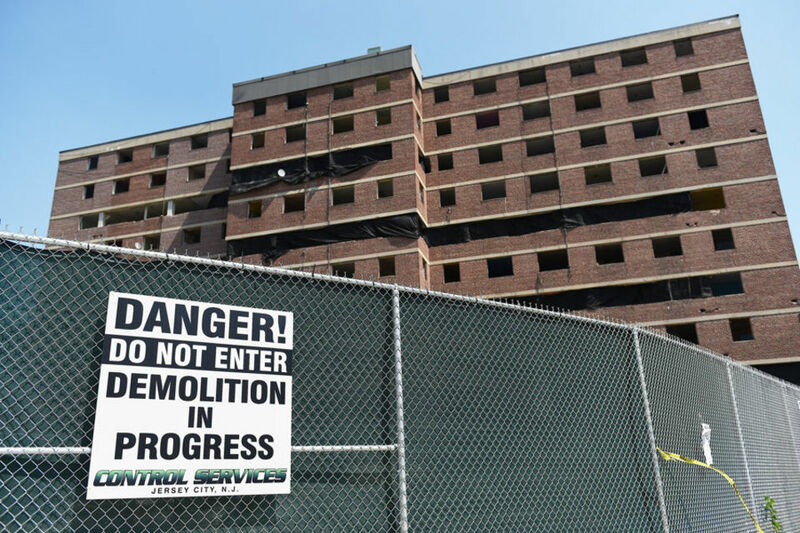 City officials — including Mayor Steve Fulop, Jersey City Housing Authority Director Marvin Walton and state Assemblyman Raj Mukherji – will meet to demolish three of six buildings at Montgomery Gardens. The tear-down is part of a $100 million-plus project to create affordable housing in the area bordering Downtown. The six Montgomery Gardens buildings, built in 1953, once housed 434 units total. The three 10-story high-rises being destroyed Saturday — they will be imploded; Fulop is pushing the button — housed 221 units and will be replaced by 126 units, mostly affordable and 10 market-rate, in townhouse-house like structures. The renovation of Montgomery Gardens, which sits in the shadow of the luxury Beacon complex, comes as the city is enjoying a building boom that has finally reached outside of the Downtown. Five blocks west of Montgomery Gardens, Saint Peter’s University is planning a $220 million, 21-story residential tower that city officials believe will invigorate McGinley Square. Journal Square is Growing up!